A woman and visible minority who rose up the executive ranks of the male-dominated oil and gas industry, Levonne Louie has lived her life as a trailblazer—but, as she confesses in her new memoir, Blazing Trails, it took her time to own that title. In this frank reflection on her personal and professional journey, Levonne shares the valuable insights she has gained through a lifetime of living life on her own terms—from challenging her family’s traditional values and embracing life as a single mother, to devoting herself to a career in a male-dominated field. The book is cleverly divided into two sections—in the first, Levonne gives a chronological recounting of her life, and in the second, she shares the gems of wisdom she has collected along the way. 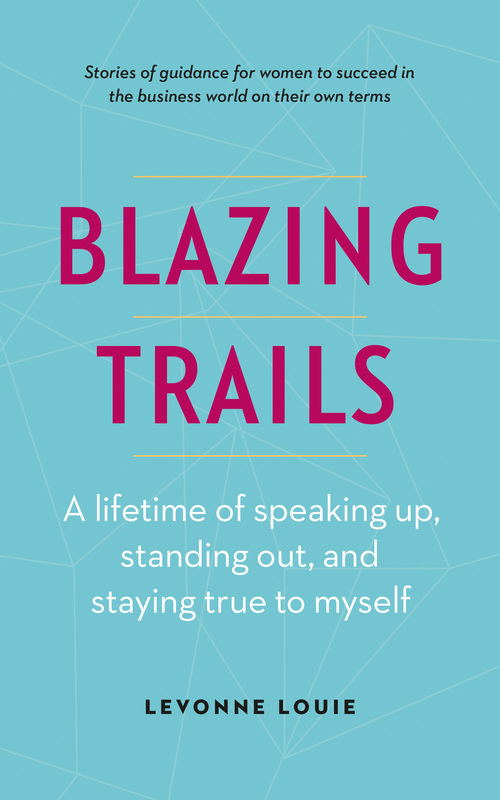 Whether Levonne’s relating a story about resisting her family’s traditional values or encouraging other women to embrace their self-worth, she weaves common threads of perseverance, resilience, and courage throughout the pages of Blazing Trails.